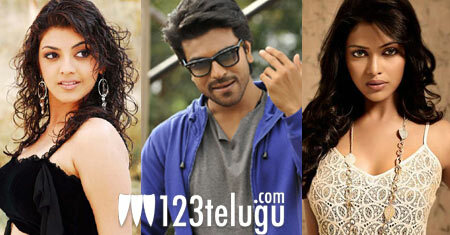 Mega Power Star Ram Charan’s action entertainer ‘Nayak’ is now in it’s post production stages. Dubbing activities have already commenced and going on a brisk space. Except for two songs and climax, the talkie part is almost complete. The makers are planning to launch the audio in a grand style on 14th of December. Amala Paul and Kajal Agarwal are paired opposite Ram Charan in this high voltage action entertainer, which has music by S S Thaman. Produced by D V V Danayya and directed by V V Vinayak, Nayak is all set to release during the festive season of Sankranthi.